At JB&B Leach Estate Agents We offer a wealth of Knowledge within the lettings industry with a dedicated lettings team to handle all aspects of the letting process. We build a strong relationship with each client to establish their needs providing a tailor made service. We provide three different levels of service all at a competitive price. However, we can also bespoke the service to match your needs. How much is your empty rental property costing you per month? Is your current agent fulfilling your requirements? LET US LET YOURS. All based within the Hardshaw Street branch. Our standards are high and our expectations of the staff are the same. 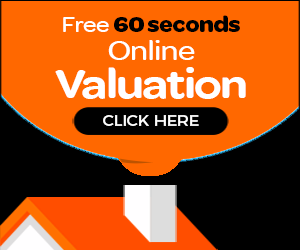 We advertise on the UK’s number one website Rightmove along with On the Market for independent agents. We have a regular team of tradesmen to carry out any work at your property who offer a competitive and reliable service. It is a legal requirement for the landlords to provide a copy of an up to date Energy Performance Certificate. It is a legal requirement for all gas appliances to be checked and tested by a gas safe engineer. One smoke alarm must be installed on each floor of the property and a CO alarm in any room containing a solid fuel burning appliance. If you are thinking of letting, why not request a free no-obligation market valuation of your property?